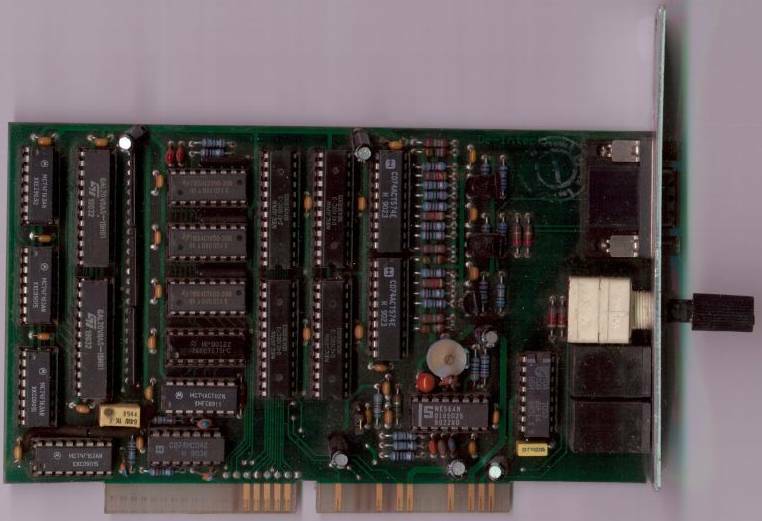 A very old (circa 1991) deinterlacer card designed for the A2000. It has a standard VGA type connector, however it does not pass through VGA video displays, it only stops the flcker from interlaced displays. The card was supplied with software for OS 1.3 which allowed you have to have variable sceenmodes however it's a patch. It's been reported to work OK under OS 2 providing a flcker free display in 640*400 60Hz (NTSC). Page contributors: Iggy Drougge, Rainer Schreurs, Sebastian Breitkreuz.